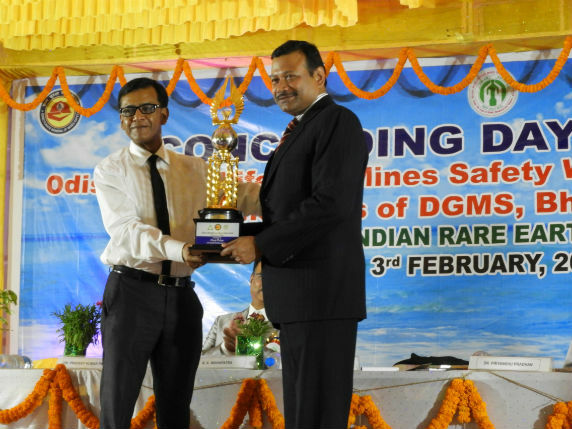 Bhubaneswar: The Mahagiri Mines Chromite(MMC) was awarded 1st prize in the overall category during the concluding day of annual safety week celebration held at Gopalpur on 3rd February 2018. Both Mahagiri Mines Chromite (MMC) and Sukinda Mines Chromite (SMC) of Indian Metal & Ferro Alloys (IMFA) bagged several other awards in different categories such as Safety Compliance, Maintenance, Training Health & Welfare and General Working. The function was organised by Indian Rare Earths Limited(IREL) under the banner of Odisha Metaliferous Mines Safety Week Celebration Committee (OMMSWCC) and Director General of Mines Safety(DGMS), Bhubaneswar region. 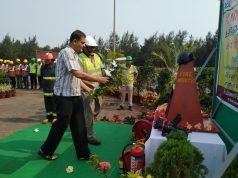 About 33 mines in the state had participated in this safety week celebration. Sri Sanjeev Das, Senior Vice President, Head-Mining (BU), IMFA, Sri Lalatendu Mohapatra, General Manger- Mines, Sri Manoj Samal, Senior Manager- Mines were present in the concluding day of the event to receive these awards on behalf of IMFA. Sri A K Sinha, Deputy Director General of Mines Safety, South Eastern Zone, DGMS was the chief guest of the event and Dr Priyansu Pradhan, MLA, Chhatrapur and Dr.Pradeep Kumar Panigrahi, MLA, Gopalpur were among the various dignitaries also present.